Hundreds of talented performers – from a cultural troupe of 22 to an umbrella-wielding dancing grandpa -brought their A-Game to the open auditions in Manila last Saturday for a chance to secure their shot at international fame on the third instalment of the record-breaking series. For those who have missed their opportunity to showcase their talent, the regional Asia’s Got Talent audition tour will be making stops in Jakarta and Kuala Lumpur this coming weekend. 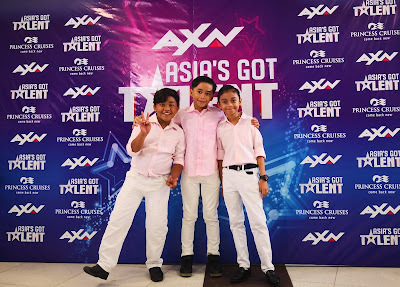 Online auditions are still ongoing at www.AXN-Asia.com/AsiasGotTalent until 9 July, 2018.